Doesn't that look yummy? Took the photo this morning. Give it a couple of days to finish ripening off the tree and I will be delightfully devouring it. It has a hint of pineapple flavor to its flesh, hence its name. 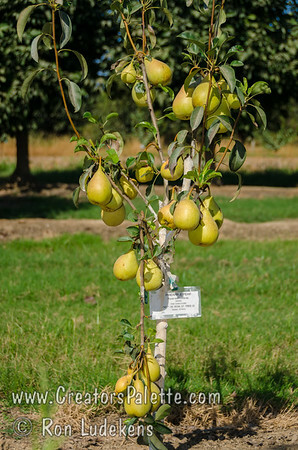 What is exciting, this pear can be grown in the yards of the majority of homes in the U.S.
Pineapple Pear only requires about 200 hours of winter, dormant chilling which means it can grow all the way down to San Diego and Gulf Coast. 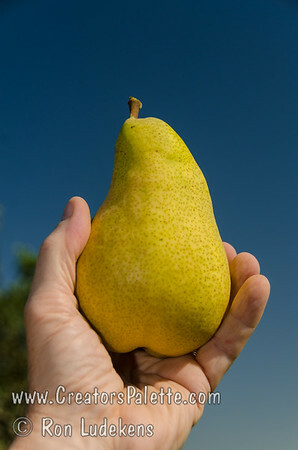 Yet, as a pear, it can withstand cold to USDA Zone 6. It will bloom a little bit earlier, so late frosts can impact crops on some years in some areas (you know who you are). It ripens in August in Central California so short season climates can still get a crop. The other exciting thing about this pear is its apparent resistance to Fireblight. On a scale of 1 to 9 with 9 being the best, we have graded this pear as an 8. In our climate, we just do not see Fireblight as an issue. (Disclaimer: I am convinced that there are different strains of Fireblight across the country with varying results, but so far feedback has been good). Another feature that makes homeowners very happy is how early it will fruit once planted. They often fruit first year. The above photo shows one of five pear trees planted 19 months ago and all are setting heavy fruit for the poor small trees (note the broken branch). I would prefer the fruit be removed or thinned on young trees to allow more rapid vegetative growth, but we also want to verify every tree we plant in our budwood orchards that they are true to name before we ever cut budwood from them. These 5 new trees passed the test! Pineapple Pear is self fertile, but will set heavier fruit with a pollinizer such as Kieffer (Improved), Monterrey, Seckel or Bartlett. So many people think "Bartlett" when thinking of a pear tree. That is a great pear indeed if you have the winter chill (800 hours), another tree to pollinize it and willing to fight Fireblight (we rate it a miserable 1). 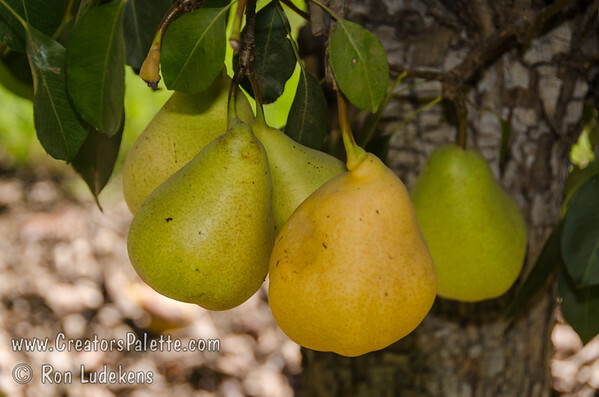 Instead consider Pineapple Pear (or Monterrey, Moonglow, Kieffer (Improved)) for your home garden.